Red is known as the colour of extremes; passion, love, seduction and adventure. 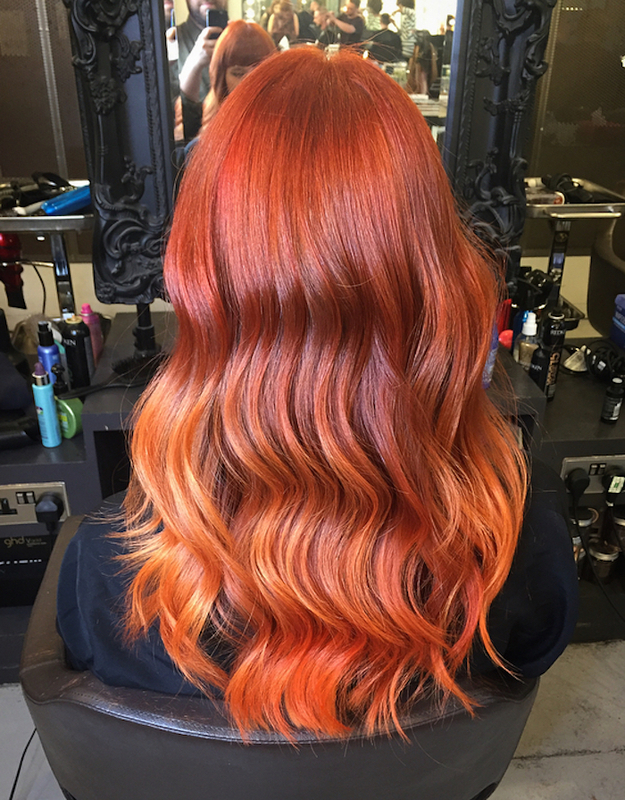 In the hair industry, red colours are growing in demand, being worn by more and more women in a whole host of variations. 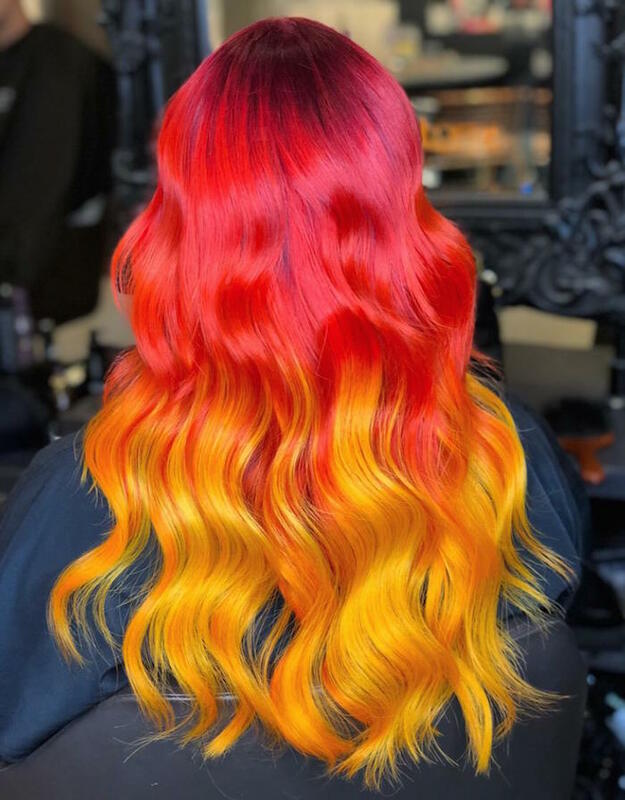 1.It isn’t just for the bold – red hair colour has always been viewed as a bolder hair colour, mainly for someone that wants to have all eyes on them. 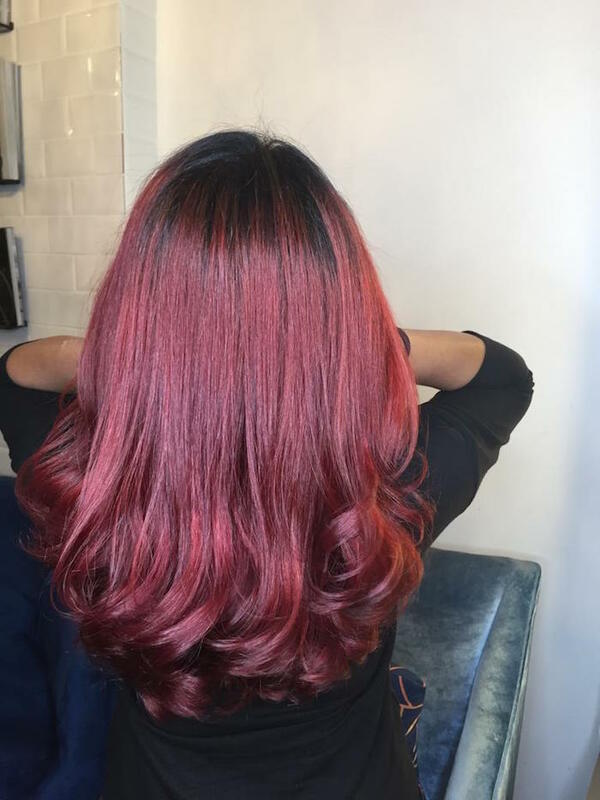 But this image is changing, as people realise that red tones also brighten up your features, add extra shine to your hair and bring some warmth. On some complexions, red colours add an extra, useful glow. 2.The colour lasts – red used to be a colour that faded away fast, leaving unflattering orangey tones. The improvement of the colour and its innovation allows the colour to last longer and fade to a more natural, less brassy colour. 3.It suits all skin tones – the spectrum of red is bigger than you might imagine; light coppers for the blondes, dark violet-reds for the dark skinned, mahogany browns for the shy and vivid reds for the ones who want to stand out. 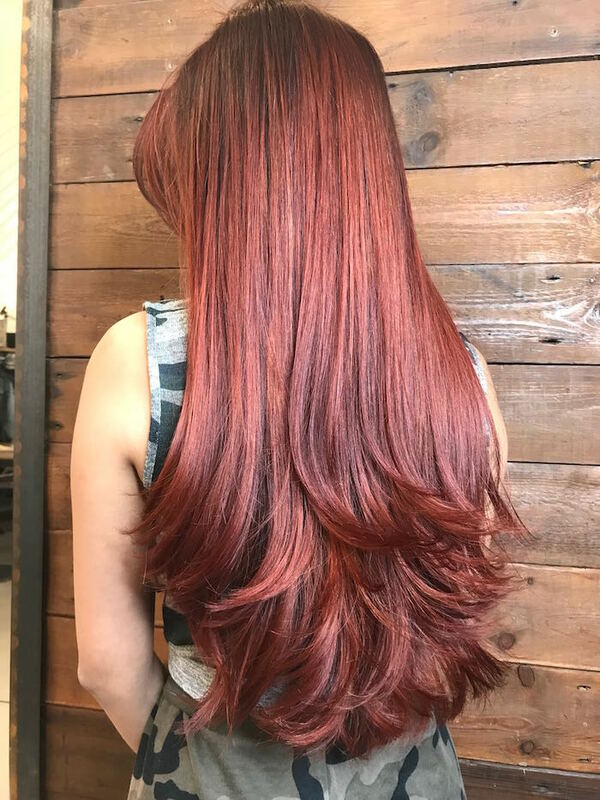 There are also enough techniques to adapt to the client’s need; vivid full head for the bravest ones and slices here and there for those who want to wear their red more discreetly. 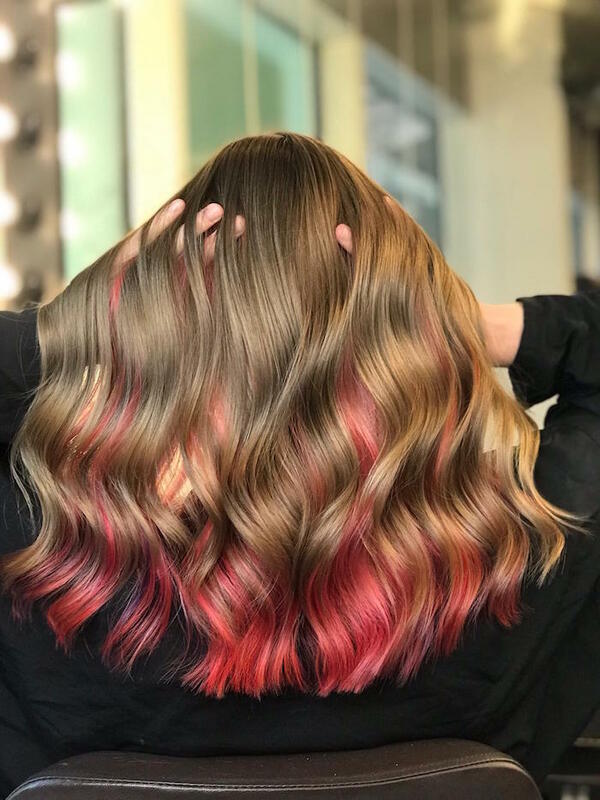 Balayage techniques featuring reds are really on trend too to show off luminosity and dimension. 4.It’s easier to maintain than you might think – as long as your hair is healthy and strong, the red pigment will attach well to the hair cortex. Shampoos, conditioners and masks with moisture and/or protein are recommended before changing colour and after-colour products are a must! Avoid moisturising products, as they leave the cuticles open and the red will flow out of the hair – a mistake a lot of colour clients make when choosing their hair shampoos and conditioners. We also recommend using Olaplex within your colour service to strengthen your hair and seal in the colour to make it last longer. Use Olaplex 3 at home hair treatment and Olaplex 4 and 5 Shampoo and Conditioner at home to make the effects last longer. 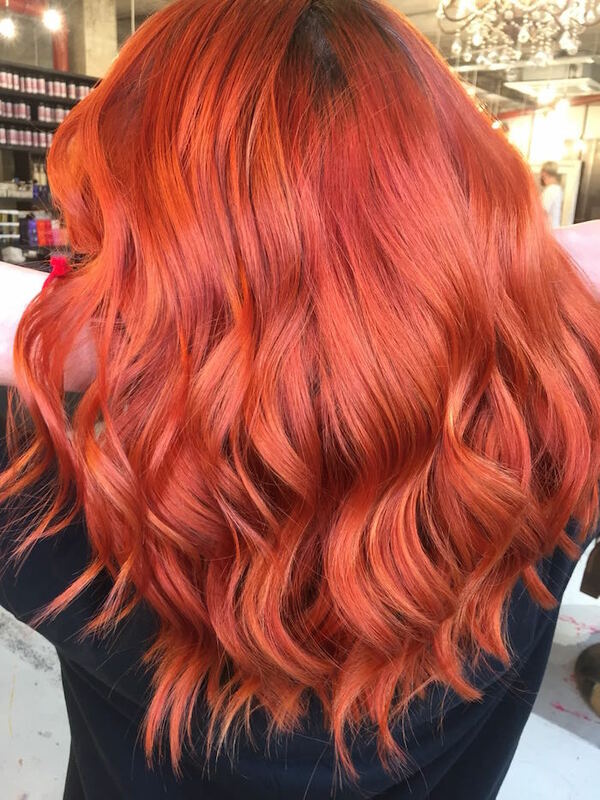 5.It celebrates the natural redhead too – all techniques will beautifully complement a natural redhead. 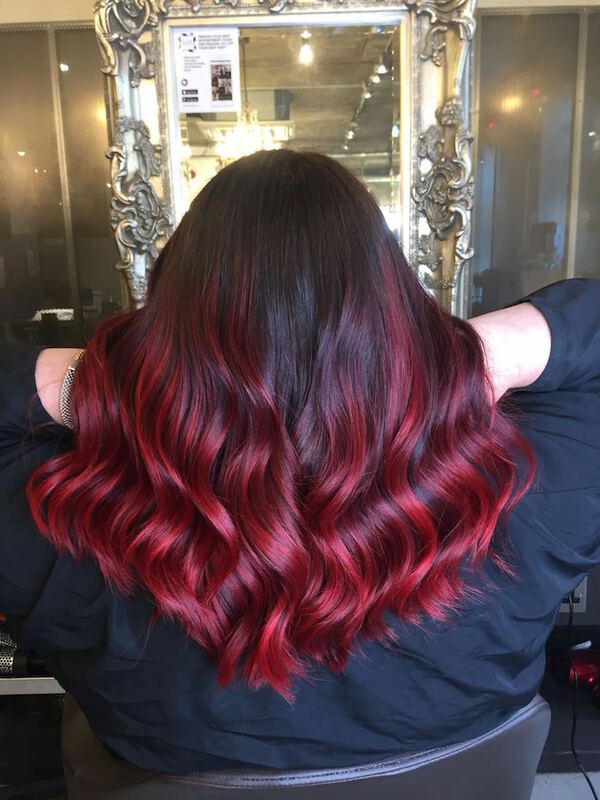 Be it a simple glossing to revive their natural pigment, panels of added red, red balayages or even full head of foils using red colour, the blend will always be extraordinary. To read our feature on reds for Redken click here.